The drains of your home are all interconnected through the piping of your home. 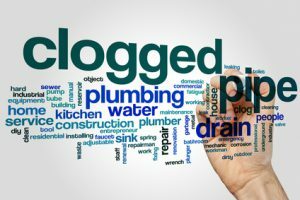 Bathroom drains, kitchen drains, and even washing machine drains all need to flow through the same pipes to get out to the sewer line. If those drains clog up, that water will have no choice but to flow back into your Melbourne, Florida home. If you go through and clean out your drains regularly, however, you can often prevent this from happening. How Often Do Drains Require Cleaning? Some people suggest that you clean out your drains each week, while others say once a year is enough. Honestly, it will depend a bit on how much water you use. The best rule of thumb is to clean out your drains about once per month. It keeps your drains running smoothly, and it allows those drains to be able to keep working hard to keep your home functioning like it is supposed to. If you do it too often, you aren’t going to really get much done, but if you wait too long, your pipes may already be building up clogs which could lead to problems down the line. What Methods Work Best for Drain Cleaning? There are two methods that you can use for DIY drain cleaning. First, you can take boiling water and pour it down the drain. This melts any waxy or fatty buildup that may be accumulating in kitchen and washtub drains, and allows those particles to smoothly flow down your drains. Second, you can also opt for baking soda and vinegar for cleaning your drains. The chemical reaction can scour a lot of different substance out of your drains, like lint from washing machines and hair from bathroom drains. You should also reach into your tub’s drain before doing the other methods, to pull out any hair clogs that may be building up in the drain itself. If you don’t want to do the drain cleaning on your own, you have a simple solution. All you have to do is call in a certified Melbourne plumbing company to do it for you. They’ll send out a certified and experienced plumber who will come out, clean out the drains you want cleaned, and be out of your hair in no time. That way, you know that your pipes won’t be as likely to get clogged, and you won’t have to worry about that water making a mess of your beautiful home.